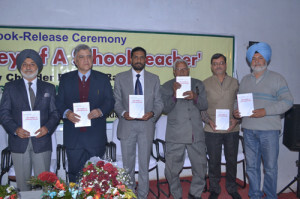 The book entitled ‘The Journey of A School Teacher‘ was released today at M. M. Modi College, Patiala. More than 100 teachers, intellectuals and social activists took part in the deliberations. The function was presided over by Dr. Sucha Singh Gill, Director General, CRRID, Chandigarh. He emphasized the urgent need to hold deliberations on the state of education in schools, colleges and Universities. He said that the educational experiments undertaken by Chander Parkash Rahi should find way to the schools so that the new generation of the teachers read and apply proper methodology of teaching for the overall development of the schools where they work.
. Rajesh Sharma, Punjabi University, Patiala delivered the keynote address and observed that Sh. Rahi’s work has got historical importance in which the emphasis is laid on the improvement of the state of schools where the sons and daughters of ordinary people get their education. Dr. Khushvinder Kumar, Principal of Modi College welcomed the Chief Guest and the audience and talked about the highlights of the book that emphasizes the availability of quality education in Govt. Schools. 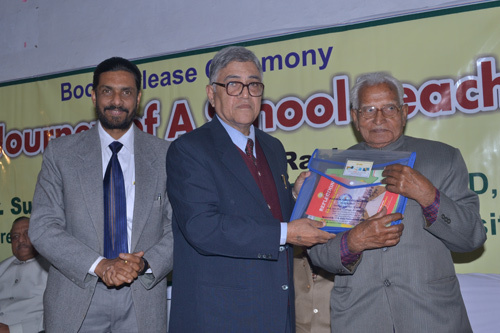 Former Principal of the College Surindra Lal remembered the various incidents in author’s life and highlighted the similarities of their education at S.A. Jain College, Ambala. Dr. Harcharan Singh highlighted various aspects of the book in the context of social economic and political perspective. Prof. Balvir Singh said that writing such a book requires a lot of efforts on the part of the author. The others who address the audience include Sh. Nirmal Dhaliwal, Sh. D. S. Chahal, Capt. Preetdev Singh Shergill, Dr. Kuldeep Singh, S. Jaswant Singh, Sh, Charan Gill, Dr. Neena Gupta, Sh. Rupinder Singh and Sh. B. S. Walia. The author of the book Chander Parkash Rahi thanked all the guests and the organisers.